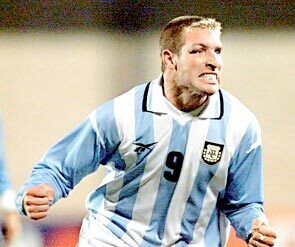 It was well over a decade the last time the Martín Palermo donned the Albiceleste. His infamous Copa América performance against Colombia in 1999. Since that fateful day in Asunción, Palermo’s career underwent a rollercoaster ride of unprecedented measures. From the highs of his great game against Real Madrid to the day that he had a stand fall on top of his leg when he played for Villarreal. His return to Boca has seen him win titles left and right. Three domestic titles, two Copa Sudamericanas, two Recopas, and a Copa Libertadores are part of his resume ever since he returned to Argentina back in 2005. His story is one written for the movies- sequels and all. He was a day away from being called up to the national team once again last year, but suffered an ACL tear. He was also left at the doorstep of Boca immortality when he was tied with Francisco Varallo as the club’s all-time leading scorer. But he did what he had done before- come back and score. So it was just a matter of time that he would come back to the national team. Diego Maradona did that on Thursday when he announced his next call up for international duty, even though it is just for a friendly against Paraguay in the city of Colón in Argentina at the end of the month. Palermo was one of four Boca Juniors players called up by Maradona (Forlín, Muñoz, and Battaglia are the others). Surprisingly there were no players from River Plate called up. This would be the billboard material that Los Millonarios might need in order to get that little extra incentive come time they step onto the pitch at La Bombonera this weekend.